FJG beer fermentation tank is made of superior stainless steel. The cooling jacket is in the form of dimple jacket. Jackets placed in the tank body and cone base can effectively improve the cooling speed. We can set jacket heat exchange area with different proportions according to customers’ specific technological requirements. The bottom of this beer fermentation vessel is a small cone base with the angle of 60° that is designed for fermentation and improving beer and yeast breeding. 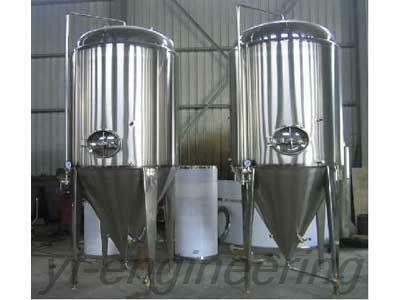 We are also able to provide beer fermentation tanks with different volumes according to customers’ demands. 1. 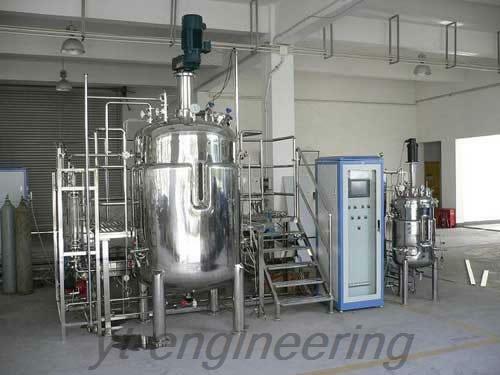 FJG beer fermentation vessel can realize online CIP cleaning and SIP sterilization (121°C/0.1MPa). 2. 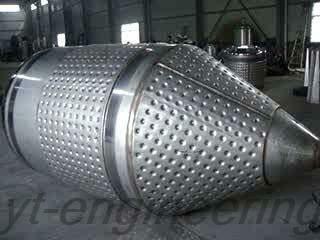 Beer fermenter is manufactured in accordance with hygiene requirements and GMP standard. It is featured with humanized design, convenient operation, stable transmission and low noise. 3. Our beer fermentation tanks are designed with proper diameter to height ratio. 4. The inside surface of the tank body goes through mirror polished treatment with the roughness of equal to or less than 0.4μm. The inlet, thermometer connector, sample tap and other parts are also polished precisely. 5. This beer fermentation vessel adopts PU for heat preservation. 6. 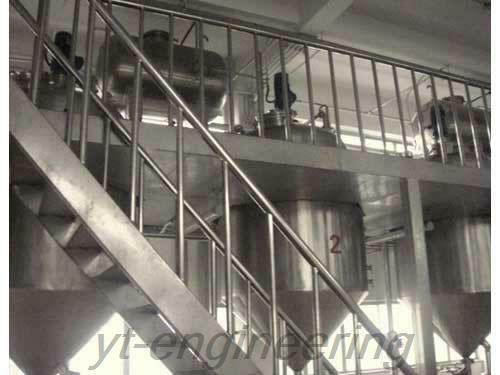 These parts of beer fermentation tank, such as the feeding and discharging nozzle, sight glass, inlet and the welding part of inside tank body, all adopt arc transition with no dead corner. They are smooth and easy to clean, ensuring the reliability and stability in the production process. 7. We can custom stirring device as needed. It features good stirring effect, energy saving and good fermentation. Jiangsu Yutong Drying Engineering Co.,Ltd. 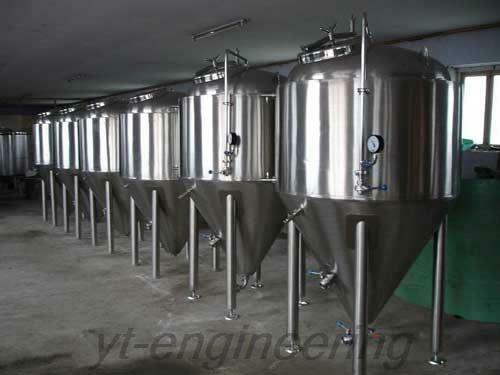 is a professional manufacturer and supplier of beer fermentation vessels in China. We possess 10 professional engineers and technical personnel and over 100 sets of processing equipment. 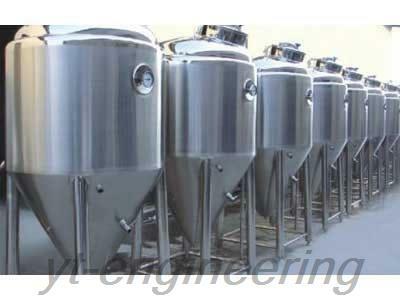 Over the years, we make efforts to the development and production of beer fermentation tanks. For more information about our beer fermentation vessels, please feel free to contact us.